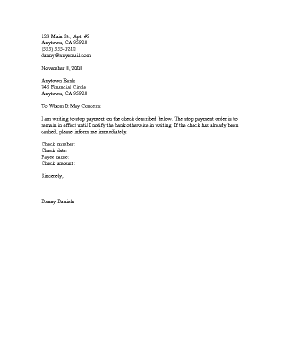 This printable letter should be sent when placing a stop payment on a check drawn on one's financial institution. I am writing to stop payment on the check described below. The stop payment order is to remain in effect until I notify the bank otherwise in writing. If the check has already been cashed, please inform me immediately.